The 28-year-old seeking to become the youngest woman ever elected to Congress is a graduate of Yorktown High School and has an asteroid named after her. 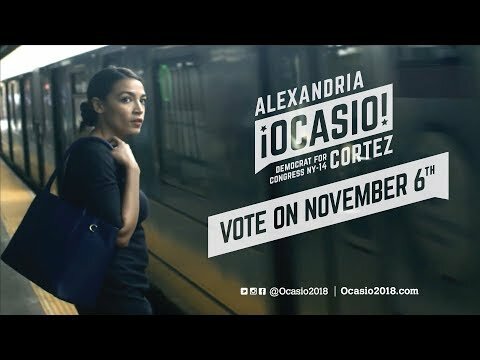 Alexandria Ocasio-Cortez defeated incumbent Joseph Crowley in Tuesday's New York primary race. She now faces Republican Anthony Pappas in the predominantly Democratic 14th District in the November election. Ocasio-Cortez, a native of the Bronx, was about five years old, when her family moved to a modest two-bedroom house on a quiet street in Yorktown Heights, in search of better schools. At Yorktown High, Ocasio-Cortez excelled as a science student and won second place in the Intel International Science and Engineering Fair in 2007. The House of Representatives nominee happens to have a space rock named after her: asteroid 23238 Ocasio-Cortez. MIT Lincoln Laboratory named the asteroid after Ocasio-Cortez's performance in a global science fair, according to Business Insider . The asteroid is about 1.44 miles wide, 240 million miles from Earth, and takes nearly four years to orbit the sun. She presented her project on the anti-aging effect of antioxidants in roundworms to the Yorktown board of education, her science teacher Michael Blueglass told The New York Times in this article. Bluegrass said that even as a teenager, Ocasio-Cortez looked at science research through a political lens. Born to a working-class Puerto Rican family, Ocasio-Cortez graduated from Boston University, majoring in economics and international relations, and later worked for Senator Ted Kennedy's office where she focused on immigration issues. After graduation, she returned home and became a community organizer. However, with the recession taking hold, along with the financial issues her family faced after her father's death in 2008 from cancer, Ocasio-Cortez took multiple low-wage restaurant jobs to help keep them afloat. She most recently worked as a bartender in Union Square in Manhattan before focusing on her congressional campaign.